Intuitive touch: The 10-point touch feature delivers a more natural and responsive experience, so you can tap, swipe, slide and pinch in a snap. Enjoy smoother navigation with two-handed touch control across the anti-glare screen, from edge-to-edge. 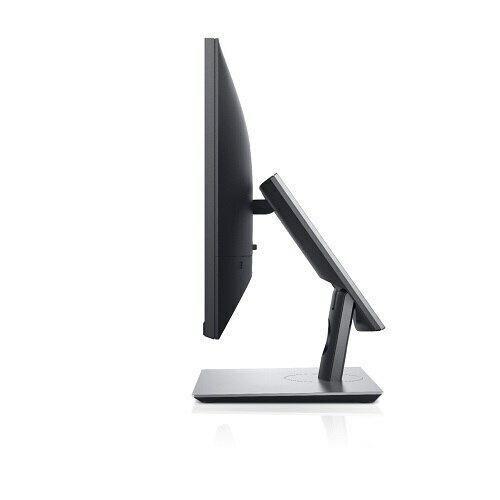 Work from any position: An articulating stand transitions from a standard desktop monitor to a downward 60-degree angle touch orientation. It also supports extended tilt and swivel capabilities, so you can adjust the screen to your task or a more comfortable position. Plus, a protective cushion offers a durable buffer against bumps when the stand is fully compressed. See clearly: State-of-the-art Advanced In-Cell Touch technology eliminates the need for the glass screen found in traditional monitors, delivering an anti-glare surface that reduces distracting reflections and fingerprints. The result is a smooth display with improved clarity that’s easy on the eyes. A seamless view: An ultrathin bezel is a stylish, elegant way to achieve unobstructed views when working across multiple monitors. Stunning views: Full HD resolution and an 8 million to 1 dynamic contrast ratio create an exceptional quality display. See consistent colors and effectively collaborate across the 178ᵒ /178ᵒ wide viewing angle enabled by In-Plane Switching Technology. Work comfortably: Enjoy an anti-glare, flicker-free screen with ComfortView™, a feature that filters out harmful blue light emissions. Plus, it’s TUV Certifiedi. Freedom from clutter: Collaborate in an organized workspace with a thoughtfully designed cable management system. Cable routing prevents cables from getting in the way when your monitor stand is adjusted down, while a cable sleeve binds them together. Connectivity ports are discreetly concealed by a cable cover. 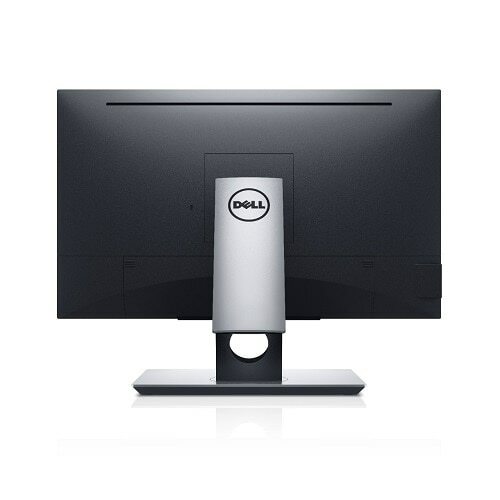 Multitask: The Dell Display Manager software lets you multitask and save time. Quickly tile and view applications side by side with the Easy Arrange feature. Customize and pre-set the color settings of your applications with Auto-Mode. Connectivity ports: Extensive connectivity ports including VGA, DP, HDMI, USB3.0 and USB2.0 allow you to easily connect to a wide range of devices. Ideal for multiple layouts: Adapt to different office layouts thanks to VESA-compatibility. 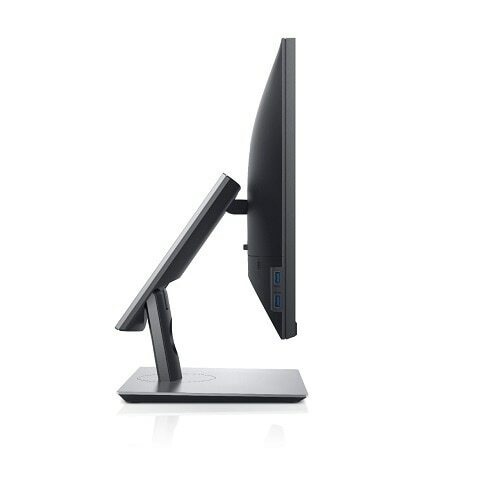 Choose to mount your monitor to the wall or attach it to monitor arms and enjoy a more flexible workspace. As the No. 1 monitor brand worldwide for 4 consecutive years (2013 to 2016)i, we take pride in our unyielding commitment to quality and the utmost satisfaction of our customers. 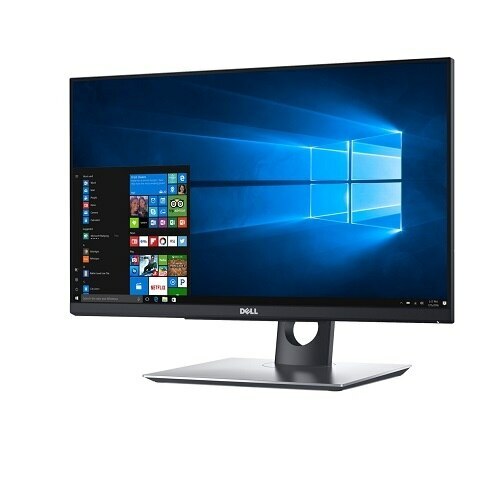 The Dell Premium Panel Guarantee allows a free panel replacement during the Limited Hardware Warrantyi even if only one bright pixel is found. Enjoy a high-quality sound experience with this speaker system that fits into almost any desktop setup. The premium sound is professionally tuned by Waves Maxx Audio®. Have the freedom of wireless computing with this keyboard and mouse bundle by connecting the USB dongle to your PC.